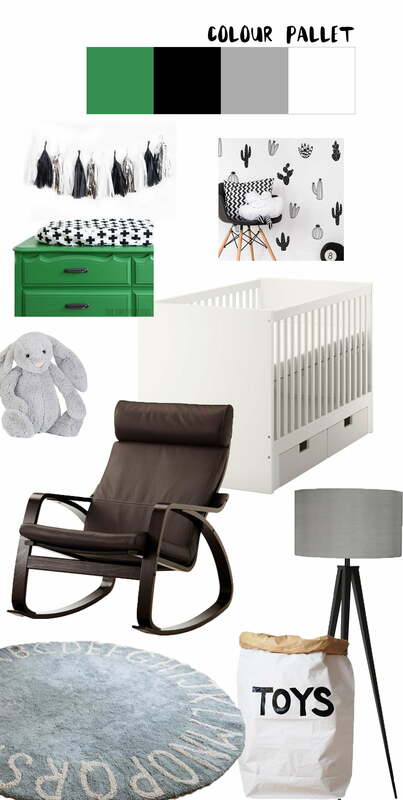 I’m not going to lie, within 48 hours of finding out I was pregnant, I already had a spreadsheet of all the different items that I wanted to look at in the stores so I could start putting the Nursery together. We were still in Europe at the time; and it’s literally all I could think of! Anyway, the hubs and I decided that we would wait a while before we actually spent any money on anything. Why? Well firstly, we wanted to just enjoy the time of being ‘pregnant’ without having to do everything. Also, we figured we have 9 months, so we’d rather think about all the things now, and then make all the final decisions towards the end. Once we’d researched everything and I made up my mind (it literally changes every day). Oh, and we wanted to wait to find out the gender, so we could get stuff that we think would suit him or her. Well, my friends! The time is quickly approaching to when we’ll actually start purchasing some items for the lil’ man and I’m so excited!! I thought long and hard about what colours I wanted to do the nursery. I want to keep it quite minimalistic, with lots of floor space so we can have tummy time and play time on a nice soft rug. I’ve decided that I’m going to go with a monochrome theme with splashes of grey and green. We’ve been so lucky and have actually been given a gorgeous change table; which I’m going to paint the bright green (stay tuned for a DIY post!) For clothes storage, we have a built in cupboard which I’m going to use. I’ll probably buy a bunch of little baskets or something that can take all the clothes, just to make sure it’s super organised. It needs to be practical! This is more for the Hubs than me, but in all truthfulness, he’s basically made our house work like clockwork because of how practical everything is. I want the nursery to be the same. I don’t want to struggle with a dirty diaper because I chose aesthetics over practicality in a room. No thanks. The room that we’ve chosen for the nursery is quite a small space. The last thing I want is for it to feel cluttered or cramped. I’m a big fan of minimalism and think that you can do a lot with a little. I also know that you can go crazy nuts in a baby store with all of these things that you think you might need but then you don’t end up using them. I think I’ll start with the bare essentials, and then figure out if I need other things on top of that. My home is my absolute haven! It makes me so happy, and what the nursery to be the same. I want to be able to sit with bubs in the nursing rocking chair and feel totally at peace and relaxed. As bubs grows, I want him to be able to play in there, and for them to be room to move around. I find I get stressed out if a room feels claustrophobic or cramped, so I’ll do everything in my power to make sure this room has as much ‘zen’ as possible!